Twitter putting the squeeze on third-party image upload services? Reports this weekend claim Twitter will continue to tighten the noose on third-party services by removing image-sharing alternatives from its official app. Buzzfeed reports that the social network will remove options to upload pictures using services like yFrog and TwitPic, meaning users will only be able to use Twitter. The source, which BF says is 'familiar with the company's plans', reckons the changes will be coming in the next round of updates for the official Twitter app. 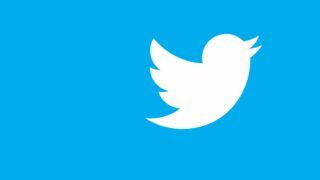 Twitter is keen to squeeze out third-party applications as it wants to keep all eyes on Twitter.com and the official suite of apps, as it is then able to capitalise in ad sales. It recently added a usage cap, effectively limiting third-party apps to 100,000 users, much to the outrage of the developer community. Founder of TwitPic Noah Everett says his company has been anticipating this move for a while. He said: "They're trying to control those eyeballs on their apps, they're an ad-based company, they make money that way. "It might be a big death blow to smaller companies," he added, but also that it was "one of those things we saw coming." Although Twitter's rationale is understandable, before the social network added its own, in-house photo-sharing service last year, the company was heavily reliant on third-party offerings like yFrog. So it's somewhat of a shame that Twitter is reportedly looking to squeeze them out now. The difference between the third-party tweeting and photo-sharing clients is that Twitter cannot stop people posting links to photos. However, it can limit the visibility of those services.